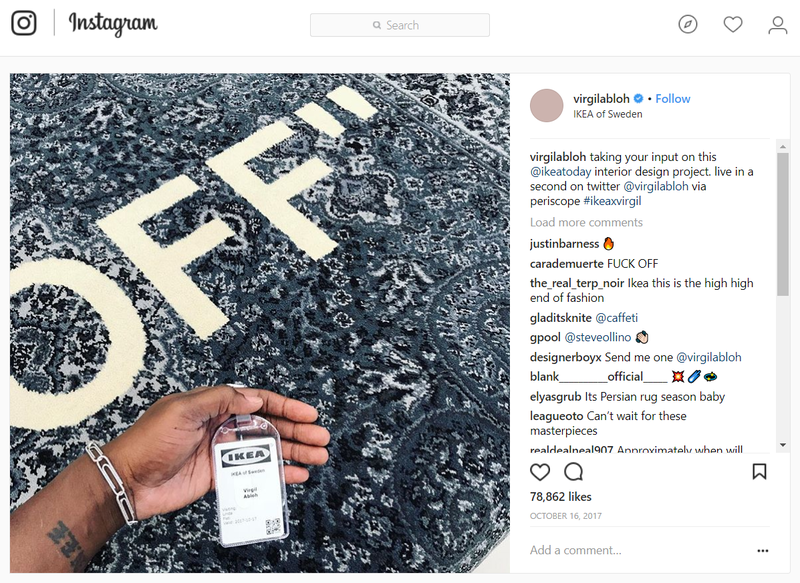 Last June during the Swedish furniture giant’s “Democratic Design Days” event, a collaboration between Off-White™ and IKEA was announced, At the same time Virgil Abloh, founder of OFF-WHITE, unveiled a redesigned IKEA FRAKTA bag with “Sculpture” on the side. 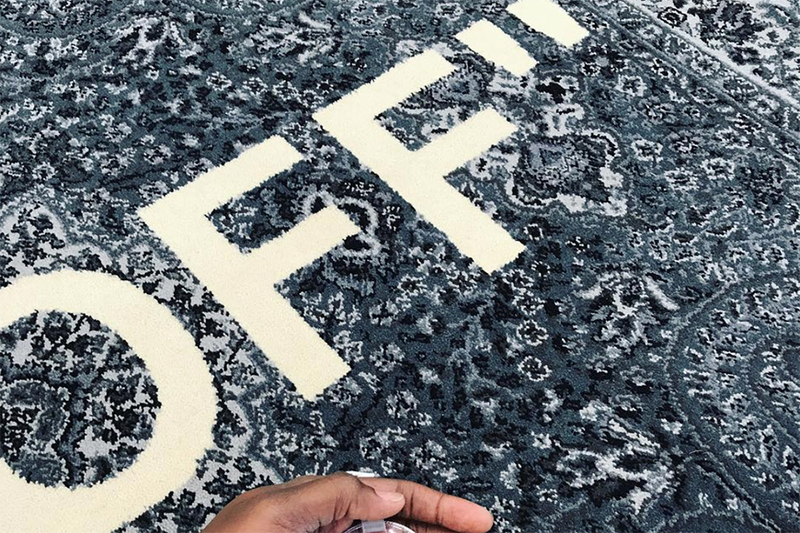 After that a printed rug with ‘KEEP OFF” was also revealed. 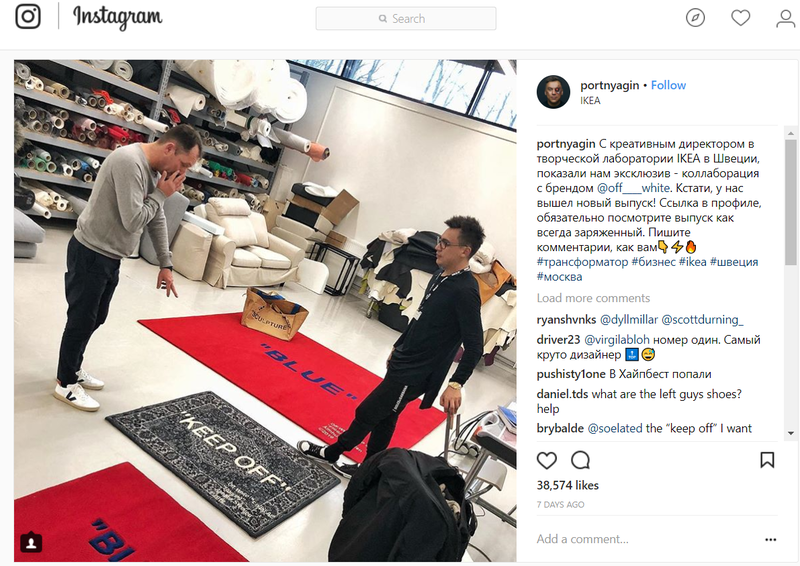 Portnygain, who was visiting IKEA’s creative lab in Sweden, shared on instagram more of the collection. 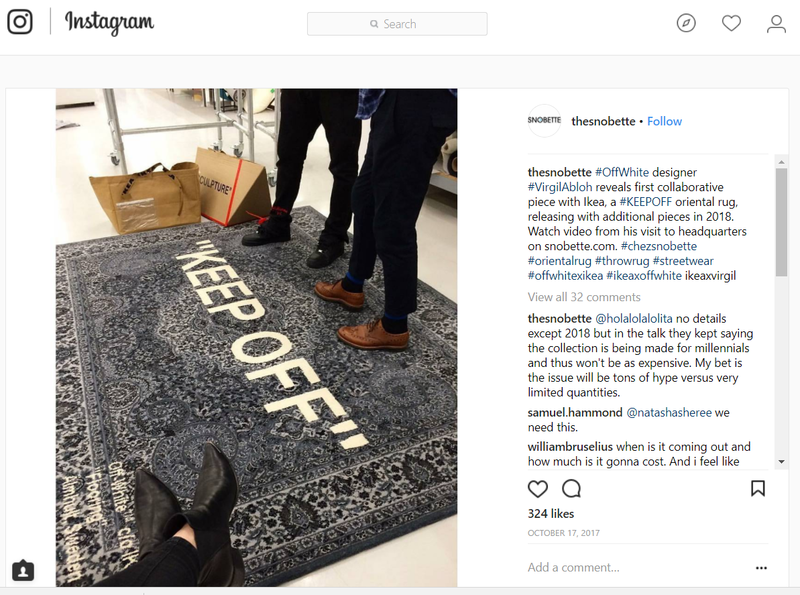 The main addition is a large red rug with “BLUE” in the center, while the Off-White™ text is in the bottom right corner. The release date for the collection is still not revealed.